Scientists solved the plague that was killing starfish all over the Pacific ocean! And they found a cure! So thanks to them, millions of starfish will live. 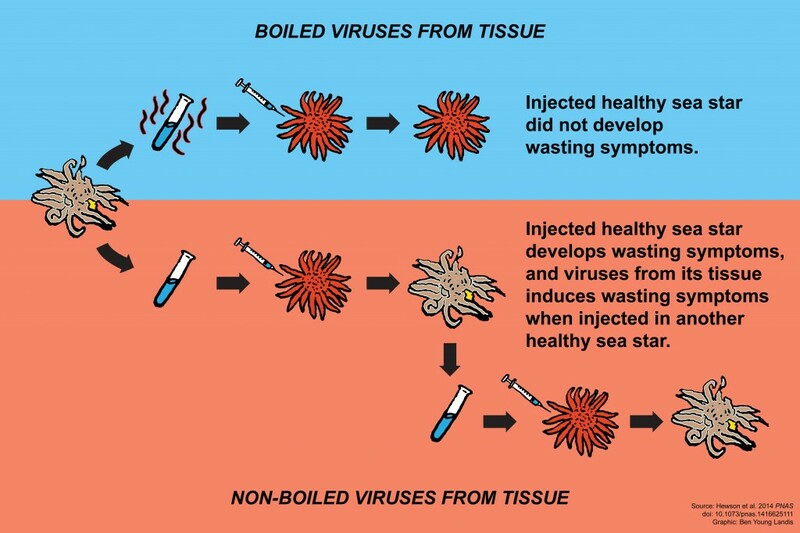 “They said it’s a virus that’s different from all other known viruses infecting marine organisms. They’ve dubbed it ‘sea star associated densovirus. '” To find the culprit, they took samples of healthy and sick starfish and looked at them under a microscope then looked at the differences and found the one. So the problem is solved. Here is the link to the website and related links. This entry was tagged conservation, ocean, plague, starfish. Bookmark the permalink.